There’s a new market in town, and The Creamery’s going to be there! 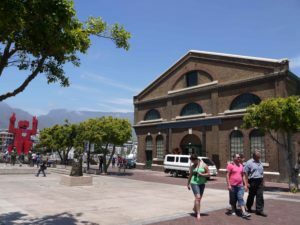 The Market on the Wharf is going to be the first five-day food market in Cape Town, focusing predominantly on fresh produce for home cooks, but also offering a small section of prepared food vendors as well. 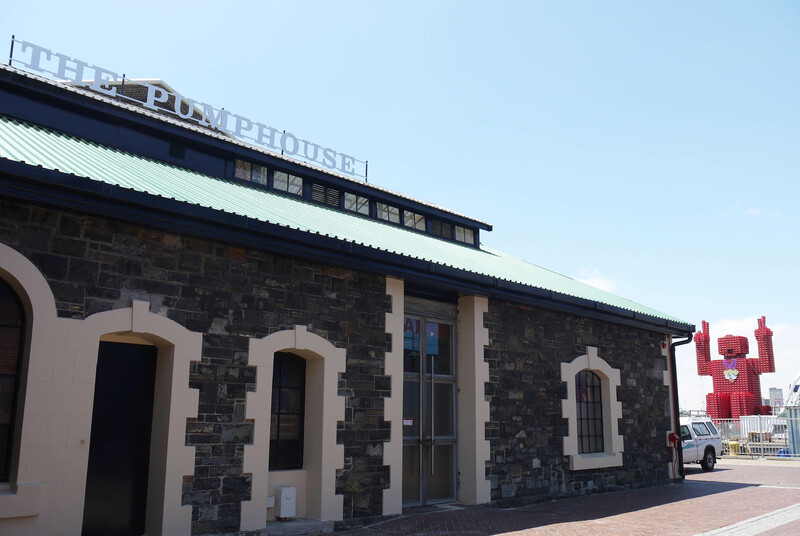 It will be based in the gorgeous Pumphouse (otherwise known as, the old CD Warehouse building) at the V&A Waterfront, and opens on 1 December. Which is an auspicious date, being my birthday, but also is very, very soon. Like, two weeks soon. This is really exciting for us, as you can imagine: it is our first permanent retail space, that both allows customers to come visit us five days a week, and means we don’t have to shlep freezers and stall equipment back and forth as we do with our other weekly markets (where we will continue to be, by the way). And while the rent is pretty high, it is still a cheaper endeavour for us at this point in time than opening an independent ice cream parlour (which is our long term goal). A new market is always a dicey proposition, but we really like the venue, and feel that ice cream will appeal equally to tourists (which the V&A, as the most visited tourist site in South Africa, has in spades), as well as locals (otherwise known as, Repeat Customers). After a lot of discussion, we signed a lease for a stall in the prepared foods section in Mid-October. 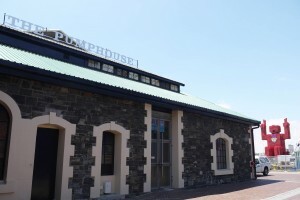 I then promptly left the country for a week, and returned to a chaotic month consisting of Kamersvol Geskenke, Constantia Gift Fair, the arrival of our new churn, our first birthday party, and a shortstaffed kitchen. So, just another normal, crazy month at The Creamery. So it only now, two weeks before the market formally opens, that we are finalizing our stall layout and design, let alone constructing the damn thing. So we thought it might be fun for you, dear readers, to come along for the ride as we try and work out how to fit a lot of equipment attractively, efficiently, and affordably into a very small space, in a very short amount of time. At our busiest time of year. We anticipate the usual amount of crazy-headless-chicken antics will ensue, so keep reading. It’s going to be an interesting two weeks. We would like to know if the V& A market whent ahead as planned, we could not make out from their website? Please let us know as we would like to visit next week? Hi Carol, The market was delayed slightly as we’re waiting on certain health & safety certificates, I believe. It’s opening now on Wednesday 5 December, and will be open Wednesdays-Sundays. See you there!